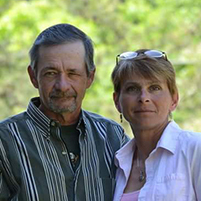 Sheila McChesney and Jimmy Staton are building a rural homestead in the Eastern Panhandle of West Virginia. Their goals are to develop a self-sustaining life style that is both environmentally friendly and financially secure. Sheila, an educational interpreter with the public school system, Jimmy, a retired veteran and “jack-of-all-trades”, and Zedediah, Sheila’s 16-year-old son, have designed their homestead to incorporate a grid free, self-sustaining tiny home, permaculture practices, and small-scale farm. Follow their journey at Tiny Mountain Home.